We collaborate with our customers to improve our products and services, expand functionality, enhance training programs, and deliver best practices. The increasing pace of change in technology and communications compels Insurance organizations to more rapidly adapt to defend their value proposition and create new business opportunities. BizFlow enables insurance organizations, large and small, to respond to market forces, such as digitalization, legacy modernization, customer engagement, and reusability. See below many great examples of BizFlow in action. A leading global provider of insurance, annuities and employee benefit programs. This customer holds leading market positions in the United States, Japan, Latin America, EMEA, and APAC. With new acquisitions, the company extended operations to more than 90 million customers in 60 countries world-wide. First American provides products and services through its Title Insurance and Services segment and its Specialty Insurance segment. In 1999 the company set an objective for rapid growth. One step in that growth plan was to establish a strong and scalable technology foundation. The company acquired an insurance system from Fiserv SIS, which rolled into production in 2003. With back-office operations running in full swing, the company then set out to narrow the distance between itself and agents. Customer convenience was top priority. SSQ Financial Group is a leading Canadian financial institution with more than one million clients, $3 billion under management, and 1300 employees. The company offers group insurance, property and casualty insurance, realty management, and investment and retirement solutions. SSQ chose BizFlow to take a process-oriented approach to streamline customer service for more timely results and increased competitiveness. Based in Trieste, Italy, Generali has been in existence since 1831 and is today one of the large insurance companies in the world. In 1997 Generali acquired Grupo Financiero Banorte, one of Mexico’s premier financial services institutions. Today, Banorte-Generali operates many banking and insurance institutions across Mexico, including: Afore Banorte Generali (Pension Fund Management), Pensiones Banorte Generali (Annuities) and Seguros Banorte Generali (Life, Medical, Auto, and Home Owners Insurance). Grupo Financiero Banorte posted 2012 revenues of $3.9B. Healthcare is facing a rapid change in patient and provider expectations. Members and their support network (hospitals, insurers, physicians, family) need to be in constant collaboration to schedule and provide care. BizFlow supports health care organization to streamline and automate customer service, eligibility and enrollment, appeals and grievances, and many more processes. See below many great examples of BizFlow in action. 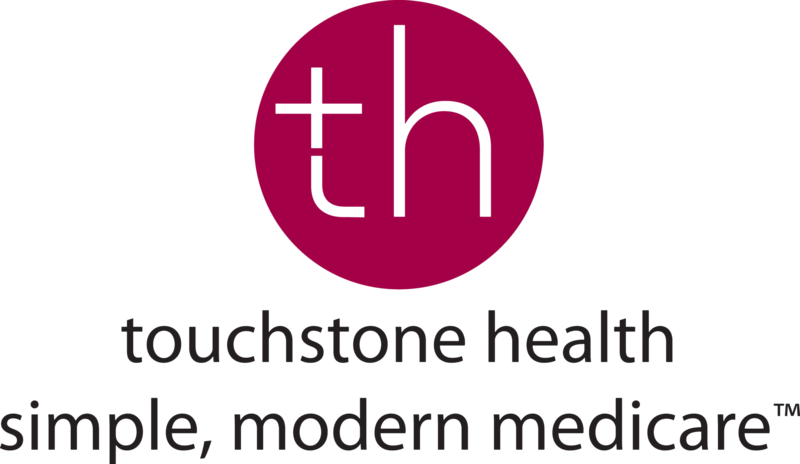 Touchstone Health is a $200M Health Plan/Insurance provider that is currently serving 20,000 members. Founded in 1998, the HMO works with Medicare and operates primarily in the NYC area. With BizFlow, case managers now have greater control of the process, while tasking others for input to the case, and improving processing time significantly. The automation also ensures adherence to CMS regulatory requirements. TriWest manages health benefits under the United States Department of Defense (DoD) TRICARE program in the 21-state TRICARE West Region. They serve our nation’s Veterans and military community by providing customer service and access to local health care networks and programs. BizFlow develops solutions that comply with Federal regulations that directly impact Veteran care, such as the Veteran’s Accountability Choice Act. BizFlow is the most dynamic BPM Suite used in Government today. More than 400,000 Civilian, Defense, and Intelligence Community professionals work with BizFlow to create transformational strategies and solutions improving operational efficiency, citizen services, and regulatory compliance. See below many great examples of BizFlow in action. U.S. Immigration and Customs Enforcement (ICE) is the principal investigative arm of the Department of Homeland Security (DHS). More than 20,000 employees support operations in all 50 states and 47 foreign countries. Using BizFlow, DHS created a web-based Task Management System (TMS) that consolidates, tracks, archives, reports, and streamlines Operational (OPS) taskers and data calls. The correspondence management solution supports single sign-on using CAC, automated routing to groups, automated approvals, color codes for fast reviews, and integration to EDMS for file sharing. Using BizFlow, DHS saves more than $2,083,000/year in operational efficiency improvements. The Federal Motor Carrier Safety Administration (FMCSA) of the Department of Transportation (DOT) manages safety by reducing crashes, injuries, and fatalities involving motor carriers. FMCSA has a budget of about $500M with about 1,000 employees. The agency works with BizFlow to improve and automate Change Management. Naval Special Warfare (NSW) is a division within the U.S. Navy that includes more than 2,400 active-duty Special Warfare Operators, known as SEALs. All of these personnel are divided among “groups”. NSW Group 4 (NSWG4) consists of three Special Boat Teams (SBT) and one international training command – all working together towards the common goal of fighting the global war on terrorism.Within a 6 month time-frame, NSWG4 had an automated workflow solution in place which was successfully up and running, reducing procurement lead time, improving accuracy, visibility, and all around satisfaction and performance of the Government Purchase Card Process (GPCP). The mission of the Office of Portfolio Analysis (OPA) is to identify, develop, and disseminate sophisticated tools and computational approaches supporting biomedical research and collaboration activities at the National Institutes of Health (NIH). At the NIH, BizFlow acts as an advanced project tracking and correspondence management application. BizFlow integrates with several 3rd party systems: the NIH Enterprise Directory (NED) for searching and importing NIH user information, the Learning Management System for importing registrant information, and SharePoint for document management. 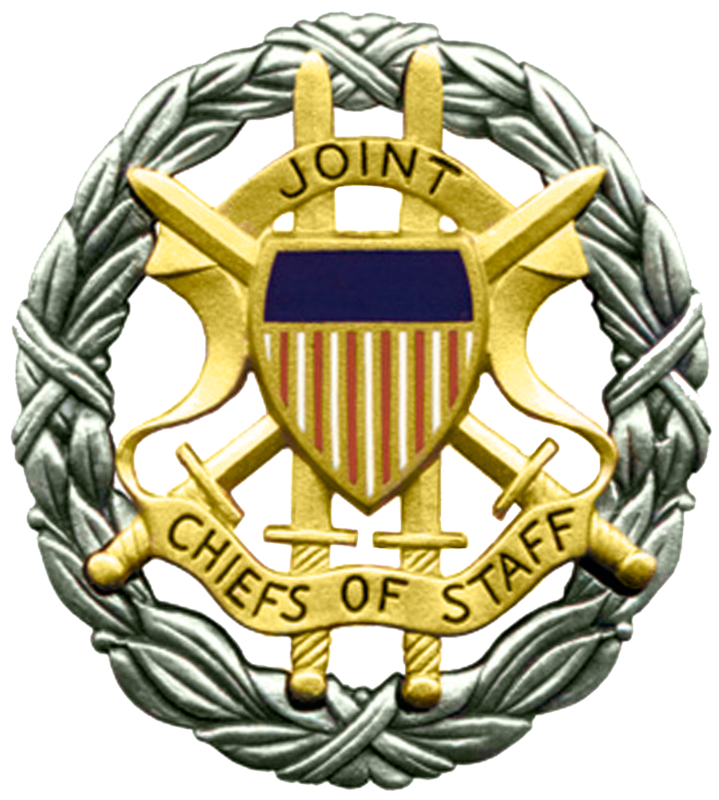 The mission of the Joint Chiefs of Staff (JCS) J6 is to assist the Commander of the Joint Chiefs of Staff (CJCS) in providing best military advice while advancing cyber defense, joint/coalition interoperability and command and control (C2) capabilities required by the Joint Force to preserve the Nation’s security. BizFlow works with Banks, Credit Unions, Property and Casualty insurance, Life insurance, Pension Management, and Employee Benefits companies.Processes automated include lending, underwriting, claims, sales, customer on-boarding, customer service, change requests, accounts payables, and invoicing. See below many great examples of BizFlow in action. Formed in 1997 from the merger of Lloyd Thompson and Jardine Insurance Broker, Jardine Lloyd Thompson (JLT) is an international group of Risk Specialists and Employee Benefits Consultants. JLT is listed on the London Stock Exchange and is one of the largest companies of its type in the world. JLT had a 2014 turnover of £816.2 million and £283.5 million in their Risk & Insurance and Employee Benefits divisions, respectively. JLT's BizFlow deployment enables both increased sales and reduced costs. Cambrian Credit Union, the largest credit union based in Winnipeg, Canada, is using BizFlow to manage a variety of loan application and mutual fund trading processes. Cambrian is an innovative provider of a broad range of financial services – from mortgages to savings, commercial services to investment services. It has more than 46,000 individual and commercial members served through 11 branches in Winnipeg and Selkirk, Manitoba. Cambrian reports that BizFlow has helped reduce its loan application process time by as much as 30 percent. BizFlow's process improvements have enabled Cambrian to achieve significant growth while reducing back-office costs, leading to cost savings that the credit union can pass along to its customers in the form of lending rates that average one percent lower than those charged by leading banks. Founded in 1975, Brazos Higher Education Service Corporation (BHESC) is the largest non-for profit holder of student loans with total assets in excess of $13B. Higher education is its business. Whether providing loan origination and repayment servicing, lending, consolidation, or secondary markets, Brazos aims to make higher education possible for students, parents, financial aid administrators and financial institutions. Using BizFlow, Brazos has automated more than 100 different processes associated with loans processing. Manufacturing companies work with BizFlow to improve efficiencies and quality in areas of Procurement, Change Management, Engineering Change Requests, Contractor Management, Deviations, Premium Freight Requests, Six Sigma Compliance, Shipping, Testing, Invoicing, Human Resources, Customer Care, Outsourcing, and Billing. See below many great examples of BizFlow in action. Consisting of more than 40 facilities and $6B in sales, Continental Automotive Systems (CAS), a division of Continental AG, is a leading technology partner to the international automotive industry. General Motors, Ford, Daimler Chrysler and others rely on CAS for their electronic and hydraulic brakes, stability and chassis control systems, electronic air suspension systems, sensors, and embedded telematics. BizFlow is helping CAS drive efficiency, effectiveness and economy across the engineering division. BizFlow works with Oil & Gas, Chemical, and other energy-related companies around the world to reduce costs, improve services, and increase quality. Processes automated include management of change (MOC), customer services, accounts payable, document controls, project action requests (PARs), change management, and invoicing. See below many great examples of BizFlow in action. BP is a Supplier of petroleum, solar energy, petrochemicals, bitumen, LPG, lubricants, aviation fuels and fuel cards. BP is headquartered in London, England, is the world's sixth-largest oil and gas company and the sixth-largest energy company by market capitalization. BP is a vertically integrated company operating in all areas of the oil and gas industry, including exploration and production, refining, distribution and marketing, petrochemicals, power generation and trading. BP uses BizFlow as it's Management of Change (MOC) platform to ensure that changes in drawings, procurement requests, operating procedures, etc. follow a formal review process. BizFlow works with customers in Health Care, Retail, Higher Education, Consulting, and Telecom. See below many great examples of BizFlow in action. The California State University, Fresno, or Fresno State has 21,500 students and 1,100 full- and part-time staff. It is one of 23 campuses of the California State University, one of the largest university systems in the world with more than 427,000 students, 44,000 faculty and staff. The university staff has worked with BizFlow experts to re-engineer workflows and create solutions to automate grant management, curriculum management, acceptance for receiving and giving gifts, and requests for authorization when driving on state business. BizFlow provides greater visibility and coordination between Food services, Risk Management, Vice President of Student Affairs, and Vice President of Administration has resulted in improving overall service delivery while reducing liability from greater situational awareness and workflow auditability. Liberty University is the largest private, nonprofit university in the nation, the largest university in Virginia, and the largest Christian university in the world. Nestled in the Blue Ridge Mountains on more than 7,000 beautiful acres in Lynchburg, VA, Liberty offers over 300 programs from the certificate to the doctoral level, and is home to more than 100,000 residential and online students. Liberty currently has 12,600 residential and more than 90,000 online students, a growth of 1,044% since 2003 and 76.6% since 2010. It offers 206 residential and 166 online programs of study. About 26% of the residential and 65% of the online programs are post-graduate. The university is a member of the Big South Conference and holder of 18 conference titles in the last two years. With net assets of $1 billion Liberty is in position to grow significantly more. Established in 1995 with a $30M IPO, Cable Bahamas Limited created the Bahamas Internet Cable System ("BICS"), a 1,000-kilometer self-healing, route diverse, unrepeated fiber optic subsea network. Today Cable Bahamas provides cable, TV, phone and high-speed Internet services, the first of its kind in the Caribbean. Conduct business process reengineering and improvement projects that identify, analyze, and redesign workflows while aligning strategic objectives with stakeholder requirements. Define, implement, and deploy holistic solutions that result in greater efficiency, adaptability, innovation and governance. Provide business process management (BPM) functionality to supplement and/or extend legacy and portal applications. Through our partner program, you will learn and better understand how to apply business process management design and development methodologies. You will have access to BizFlow and become expert in business analysis, process modeling, application development, and solution deployment. And we will support your efforts with training, blueprints, guides, case studies and best practices. Resellers represent BizFlow in both sales and customer support. They act as the gateway between BizFlow and the end-user and ensure that their customers get the right solution. Resellers may also provide services that help customers design, implement, deploy, and optimize their workflow applications. These partners ultimately support customers as they innovate and change their BizFlow applications over time. System Integrators and consultants use BizFlow to help customers design and model workflows, add business rules, create electronic forms, and ultimately implement and optimize process-driven solutions. These partners normally support customers for the long-term. Referral Partners work with BizFlow to introduce BPM and BizFlow Plus BPMS to customers. Referral partners often do not provide services nor do they get involved in customer support. BizFlow works within a Community of BPM enthusiasts. Customers – Customers are the backbone of our innovation and success. Customer collaboration leads to improved product, new functionality, enhanced training programs, and delivery best practices. Customers give daily feedback through the BizFlow Customer Support Portal, BizFlow team members, events, Executive-led meetings, and the BizFlow User Community. Partners – Partners have delivered BizFlow-based solutions across almost every industry and application. With this experience, partners share new ways to deploy BizFlow. Their insight and willingness to collaborate helps R&D create the functionality needed to deliver higher levels of process orchestration and business transformation. Partners interact daily via direct collaboration on projects or the BizFlow User Community. Market – Each day people around the world approach BizFlow with their objectives for business transformation (e.g., we do to do XYZ process better, faster, cheaper). These market drivers force us to adapt and innovate. They are the reason for BizFlow’s complete commitment to usability, flexibility, and agility. Analysts – BizFlow interacts closely with analysts to identify new trends and market expectations. Analysts provide invaluable insight and feedback on our product road-map, messaging and customer successes. Employees – BizFlow relies heavily on its employees. Our team is made up of true experts in business analysis, process re-engineering, software design, and solution development. When someone has an idea on a new capability or training course, we evaluate it as a team and run with it when approved. Doors are always open. All ideas are welcome. BizFlow invites current customers and partners to become members of our BizFlow User Community. If you have an idea for new features, functionality and/or solutions, please contact us today. For direct customers, we provide first, second, and third-level support. For indirect customers, BizFlow Corp provides second and third-level support with the partner providing first-level support. Customer and partner Authorized Technical Contacts (ATCs) use this support site and ticketing system to log technical support requests, feature requests, and bug reports. Create a support ticket by clicking this link.